The Dodge Challenger is back for the 2018 model year. With its retro look, big back seat and sedan sized trunk the Challenger is ready for whatever adventures you want to go on! New for the 2018 year is the standard 7-inch touch-screen with the Uconnect 4 system and a standard rear backup camera. What kind of engines power the different 2018 Dodge Challenger models? The Challenger does not disappoint when it comes to its engine options. 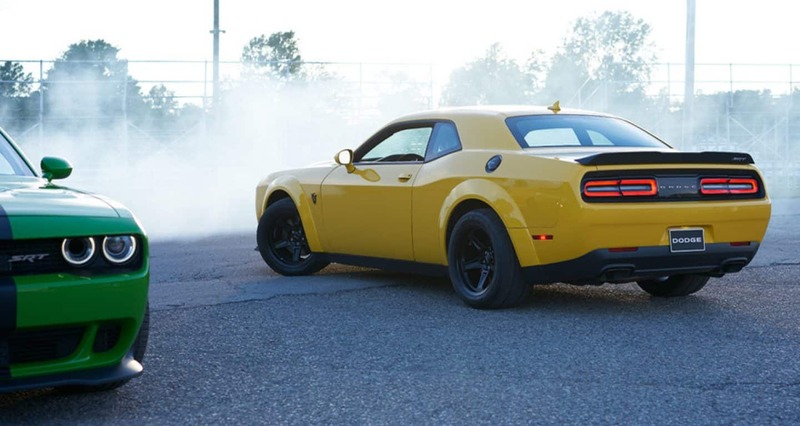 The SXT and GT models come with 3.6-liter Pentastar V6 engine that produces 305 horsepower and 268 pound-feet of torque that is paired with a TorqueFlite eight-speed automatic transmission. This combination gets an estimated 30 miles to the gallon on the highway and is the first and only all wheel drive muscle coupe in the world! The R/T model gets a 5.7-liter HEMI® V-8 with up to 375 horsepower. And the R/T 392 features an even bigger engine; a 6.4-liter V8 that produces 485 horsepower and 475 pound-feet of torque. The R/T 392 also gets Brembo performance brakes and a sport tuned suspension. 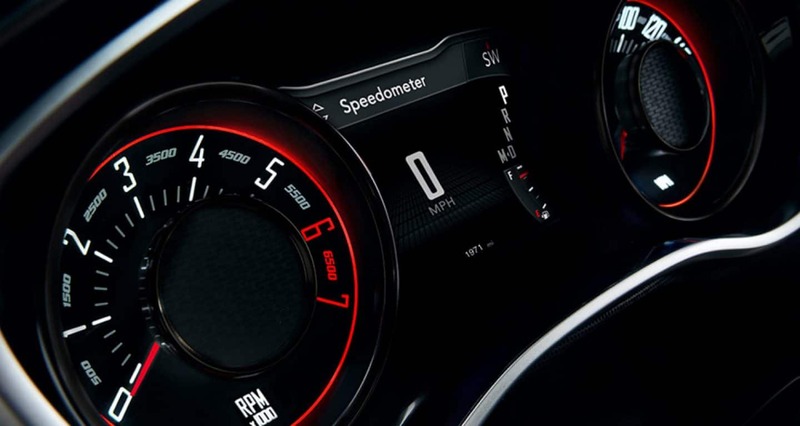 What are some of the features included in the 2018 Dodge Challenger? 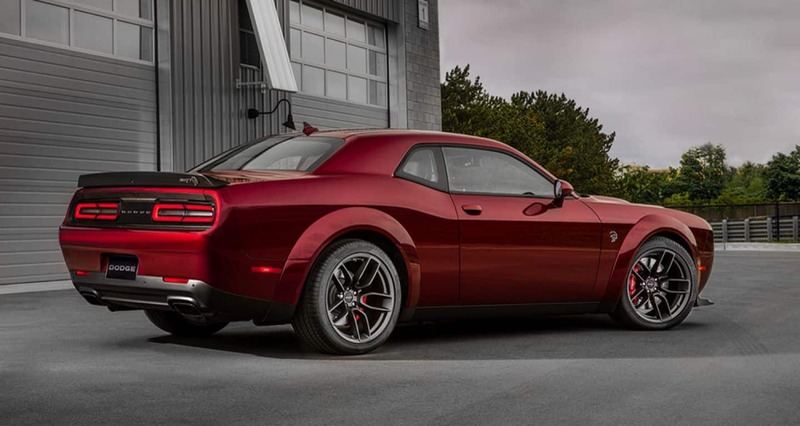 The 2018 Dodge Challenger is a beautiful car both inside and out. There are four trim levels to choose from; the SXT, GT, R/T and R/T 392, however, there are sub-trim levels within those four giving you even more options. With its two doors, the Challenger is considered a Coupe but can fit up to five passengers! Standard exterior features are 18-inch wheels, heated mirrors, automatic headlights and keyless entry and start. On the inside standard features include an auto-dimming rearview mirror, a six-way adjustable driver seat and dual zone automatic climate control. 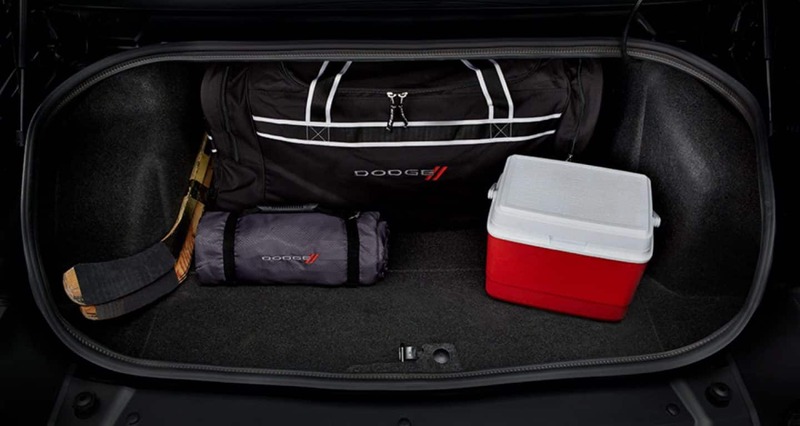 The trunk offers 16.2 cubic feet of cargo room giving you the ability to pack anything you need for your trips and the 60/40 second row seat folding capability gives you even more room! It is 2018, so there are plenty of standard technological features to go around. 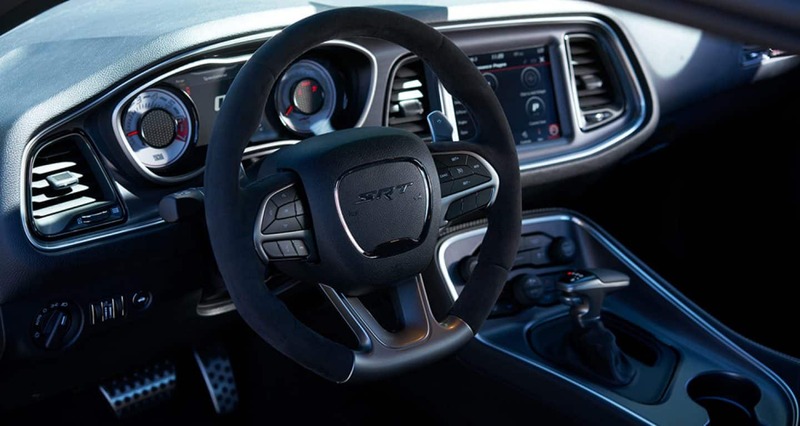 A seven-inch touchscreen with fourth generation Uconnect has Apple CarPlay, Android Auto, Bluetooth smartphone integration, two USB ports and an impressive six speaker sound system. Top tier model the R/T 392 gains a rear spoiler, rear parking sensors, cloth sport seats and HD and Satellite radio. There are two new colors to wrap all this great stuff together including F8 Green and IndiGO Blue, and B5 Blue and Plum Crazy will be returning later in the year! What kind of safety features are included in the 2018 Dodge Challenger? The 2018 Challenger has more than 70 different available safety and security features. These features include Forward Collision Warning, Blind Spot Monitoring and Rear Cross Path Detection and adaptive cruise control.The Challenger also earned 4 out of 5 stars in the Overall Front Crash test from the National Highway Traffic Safety Administration and 5 out 5 in the front passenger side crash test. 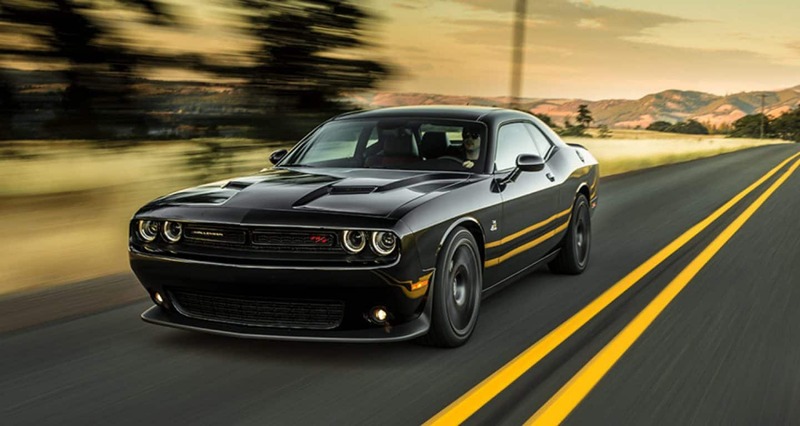 If you are in the market for an old school looking muscle car with all the best parts of 2018's technology the 2018 Dodge Challenger is the one for you! Answering your questions is important to us so don't hesitate to message us here or call! We can't wait for you to come in so we can set you up with a test drive!